Welcome! This recently renovated apartment in Central Rome is the perfect Italian getaway only minutes from all the excitement of the Trevi Fountain, Coliseum, Roman Forum, Pantheon, and Rome's best shopping, restaurants, nightlife, activities and more. Enjoy a fully-stocked kitchen, TV with Chromecast, recently updated bathroom + more! With over 900+ 5-star reviews for my properties, rest assured that you'll be experiencing 5-star luxury, customer service, and amenities in all my properties! 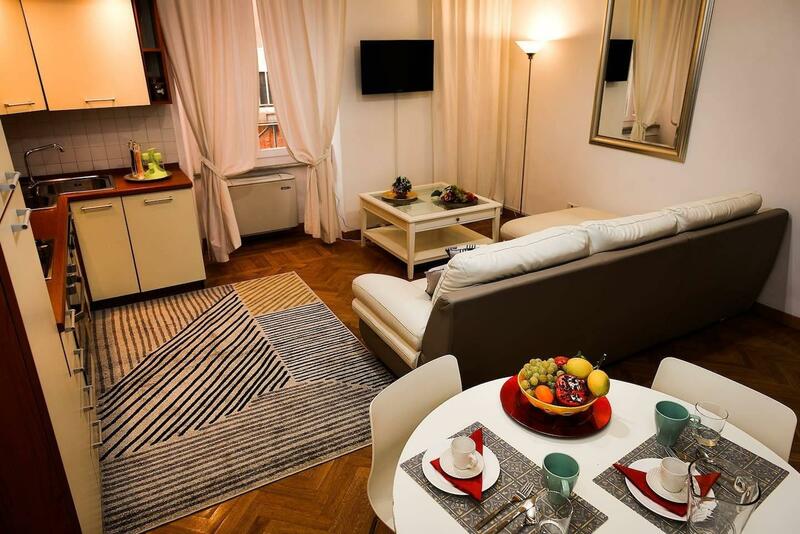 Fun in Rome awaits you in our cozy, newly updated and furnished condo! We are located in the heart of historic downtown Rome. It is within walking distance to all the attractions and public transportation, tucked in a very safe neighborhood. There are countless amazing restaurants, shops, music venues, and taxi stations within a few meters. 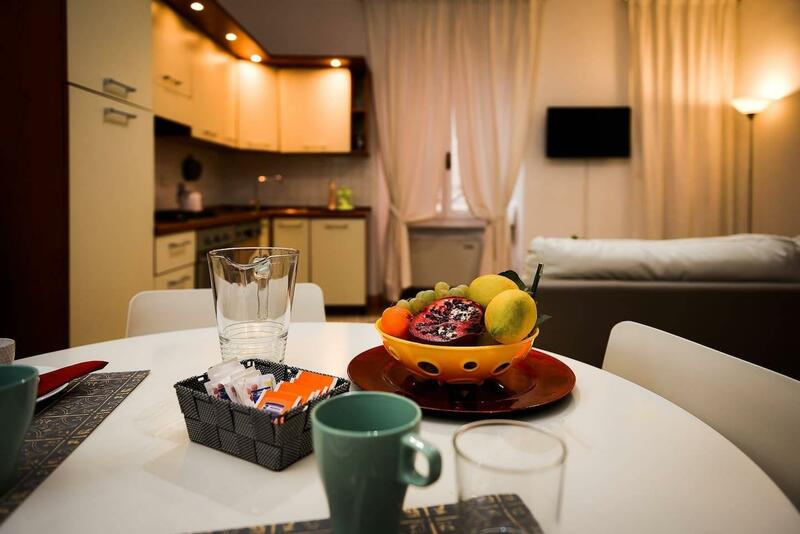 Being in the heart of Rome’s historical center, the apartment is in an absolutely fantastic location, near the breathtaking Coliseum, Roman Forum, Capitolini Hill, Campo de' Fiori, and Pantheon. Most of Rome's historic monuments, churches and museums are within walking distance - including the beautiful Trevi Fountain! The Vatican and St. Peter Basilica are 35 minutes walk or 3 short bus stops away. Public transportation is a few step from the apt connecting you throughout the city. 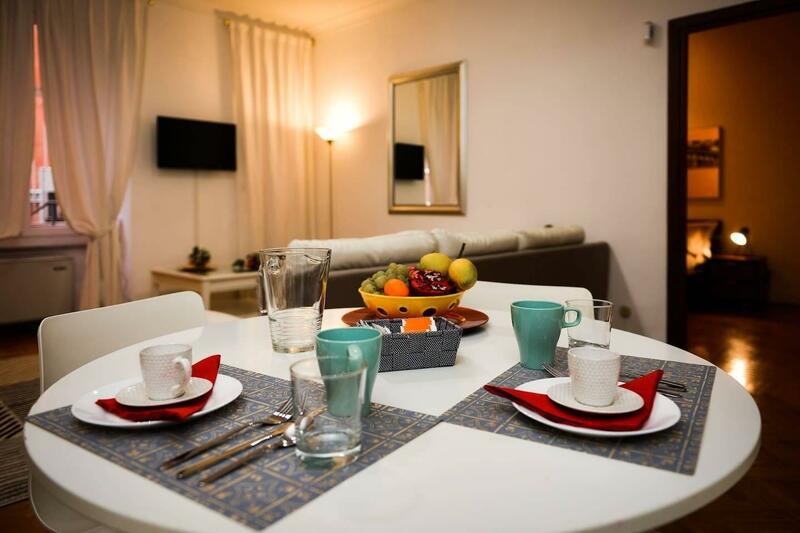 Staying in this apt will make your "Roman Holidays" unforgettable and make you feel like one of the locals. Our apartment has mostly brand new furniture, with brand new 1800-thread count linens, comforters and sheets to ensure a perfect night's rest after a long day of touring the city! Our living room, kitchen and bathroom have also all been recently renovated and furnished. The kitchen is fully stocked for your convenience! Our home is newly furnished with plenty of space for you and your guests. We have professional cleaners come after each stay to make sure the room is in meticulous condition for incoming guests. We have 900+ 5-star reviews for several other listings in other amazing cities with an average property rating of 4.8/5 so you can trust you will have a safe and comfortable trip to Italy that won't break the bank. You will be greeted and given a key for the apartment and main door. We're available 24/7, and always respond within an hour. The building is very elegant and it's located in one of the finest areas of Rome. Uber, Taxis, and tons of public transit options are available! CITY TAX: Kindly note, the City of Rome requires a City Tax which is €2 per adult per day and will be collected by our check-in staff. LATE CHECK-IN: Our regular check-in time is until 11:00pm. We can accommodate late check-ins. However, please kindly note that there is a €20 surcharge to be given to check-in manager for any check-ins between 11PM to 2AM. After 2AM there will be a €40 surcharge paid to our check-in manager. SAME DAY CHECK-IN: If you are booking and checking in within 24 hours, there will be a €20 surcharge that must be paid to our check-in person.